The Xtreme was showcased as a concept vehicle by Chevrolet in Bangkok two years ago. It will be a limited-production truck, with numbers based on overall demand. As the name suggests, the Xtreme is a more powerful version of the existing Colorado Z71 and boasts an upgraded front suspension, all-terrain tires, flared fenders, black grille, hood bulge, roof rack, tubular side steps, recovery hooks, LED auxiliary lighting, and a 10,000-pound winch with a 30-meter (nearly 100-foot) synthetic tow line. It rides on 18-inch Goodyear All-Terrain Wrangler tires. Most of the accessories have been in Port Melbourne. The Colorado Xtreme gets the same 2.8-liter Duramax Turbo diesel engine that churns out 197 horsepower and 369 pound-feet of torque. Power is sent to all the wheels via a six-speed automatic transmission. Although you get a switchable four-wheel drive system with low-range, there’s no mention of a locking rear differential. The price is estimated to be around $52,000 at the time of launch in October of this year. Be for it shut down its manufacturing operations, it looked like Holden wouldn’t be able to survive, especially considering how competitive the market is today. In fact, sales of its best-selling model, the Commodore, has been declining consistently over the past 16 years. However, Holden took up this challenge to cut down on those overheads and focus on re-badging quality vehicles that customers can relate to. 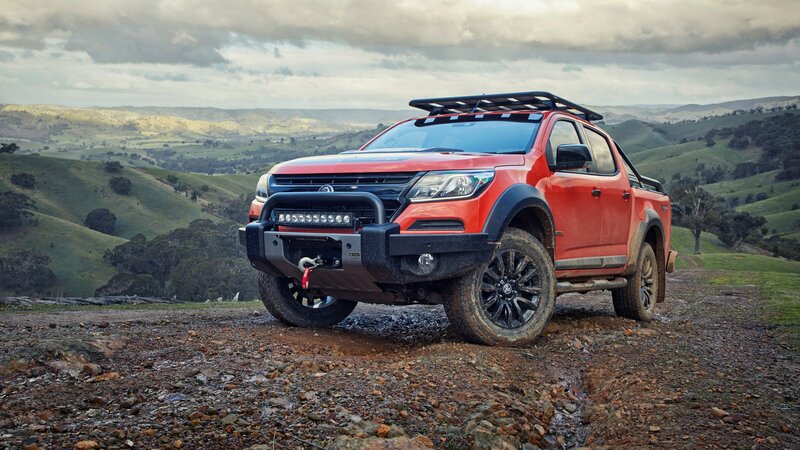 The Colorado Xtreme looks competitive, but one should note that it’s going against the likes of the Toyota Hilux, a model that has been around for 50 years and is currently in its eighth generation. There’s also the Ford Raptor which has been on fire lately with new add-ons every now and then to keep the model fresh. Now, the real challenge for Holden is to keep its costs in check, since it does not manufacture the Xtreme. The price is estimated to be around $52,000 at the time of launch in October of this year. Will the Holden Xtreme be a successful model for Holden? Share your thoughts in the comments section below. Read our full review on the 2015 Holden Colorado. Read our full review on the 2016 Holden Colorado Z71. Next Next post: New BMW Z4 — Better or Worse?